In the past few years, Williams has tried to establish itself in the affordable segment of the digital pianos market, struggling along with giants like Yamaha and Casio. When the company released the first Allegro 88-key hammer action digital piano, the response was not as good as it expected. Many users complained about its poor sound quality and dynamic responsiveness, so the manufacturer decided to redesign the project from scratch, adding some interesting features (such as a USB port) and a better sound engine to the mix. And as a result, virtually a brand new Williams digital piano was born. First announced in March 2015, the new Williams Allegro 2 is already available worldwide and it ships under the $300 price range, which can potentially make it one of the best digital pianos for beginners. And now, without further ado, let’s take a deeper looking into this very portable instrument. As you can see, while it’s true that the Williams Allegro 2 ships for an extremely affordable price of $299, it’s worth mentioning that when you buy this piano, you will find basically nothing inside the box, apart from the instrument itself and music rest for your sheet music. The power supply and the sustain pedal are both sold separately, but fortunately, the ESS1 pack will allow you to add all the main accessories for a reasonable price of $29. You will also be able to play the piano using six D-type cell batteries, if you prefer to play the piano on-the-go. The first difference that you will notice when comparing the original Allegro to its successor is the new design, which is derived from a complete aesthetic renewal process that the manufacturer has started with the Legato digital piano. The Williams Allegro 2 now offer a much more professional and attractive look, thanks to a solid but light weight (only 29.8 pounds) and elegant chassis that comes only in a matte black finish. The main interface is located on the top panel and includes a power switch, a volume knob, the Metronome, Transpose, Octave and Function options, a LCD display, the Song and Record modes, six buttons to manage the ten available sounds, the Layer/Split mode, and finally the Effects section, which includes Reverb, Chorus and Modulations. On the back panel, you’ll find a USB port for MIDI applications, a sustain input (with automatic polarity detection, also works as an expression pedal port for organ sounds), headphone socket, the stereo outputs, and of course the power jack for connecting the optional AC adaptor. The first milestone that Williams wanted to achieve with the Allegro 2 was to obtain a better sound quality for all the included voices, and the company has successfully reached this goal by adding a new custom sound library that offers ten well-sounding high-definition instruments. This feature allows Williams to remedy one of the biggest flaws of the first Allegro digital piano–the sound experience. The Allegro 2 now offers a 10′ 2” concert grand piano sound, sampled with three different velocity layers, which also has a bright variation for a much brilliant tone. The new piano sounds are much better than the original Allegro’s, and this–combined with the revamped 88-key hammer action keyboard–ensures a great experience for both beginners and piano students alike. And despite the lack of a proper 88-key graded hammer action keyboard, the Williams Allegro 2 still has one of the best keybed for its price range (which, to reiterate, is under $500). 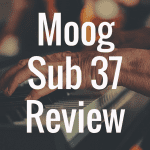 There are also eight other available sounds, such as two electric pianos, two organs (Pipe and Hammond-like), two pads (Strings and Synth) and two basses (Acoustic and Electric). You can layer two sounds and manage the balance between those, or split the keyboard in two zones and select a different sound for each zone. The 64-note polyphony means that you won’t have any particular problems of dropped notes, a huge feature for this price range, as pianos in this price bracket tend to only offer 32-note polyphony. Now, the benefit of all these features is that you have such a wide variety of options to control and enrich your sound. And with the Allegro 2, one could argue that you get one of the best sound editors in a digital piano aimed at entry-level players. 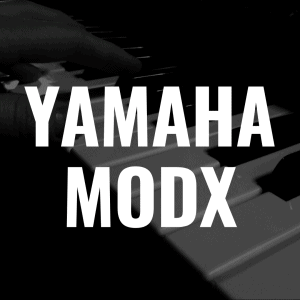 Here, you can change the piano keyboard pitch by pressing the Transpose button, change the split point or even the split octave for getting higher or lower sounds on the left hand. And once you’ve finished, you can add a reverb (up to eight different types) and change its depth, enrich the main sound with a chorus (eight variations) and change the amount of effect to the mix, or even add an additional modulation (Tremolo, Vibrato or Rotary Speaker emulation) to get a custom tone. The built-in digital recorder allows you to record your own song, too, by pressing the Song and Play buttons simultaneously. You can even use the integrated Metronome and change the tempo (from 20 to 280 bpm). Another good addition from the previous model is the new USB-to-host port, which allows the Allegro 2 digital piano to work as a MIDI interface. You can connect the keyboard to a PC, Mac or iOS device thanks to its class-compliant drivers, and use it as far as possible as a master controller. Of course, the new Allegro 2 is not the only product in Williams’ catalogue: the company has at least two other interesting products in its line-up, such as the Legato and the Overture. The Legato is an 88-key, semi-weighted digital piano and features only five available sounds (piano, electric piano, organ, synth and bass) with a maximum polyphony of 32 notes. While it’s a cheaper (shipping for only $199) and lighter (only 18 pounds) product than the Allegro 2, I would not recommend piano students buy the Legato, mainly because of the lack of a real weighted keyboard and the virtually irrelevant price gap between the two models (the Allegro 2 can be bought online for $249). On the other hand, the almost discontinued Overture is an 88-key weighted hammer-action piano with a supplied furniture stand. It will be soon replaced by the new $649 Williams Overture 2. The original Overture offers a few better functions than the Allegro 2 (more sounds, a 128 general MIDI sound engine, 58 lesson songs, a 2-track recorder and the integrated 3-pedal system with sustain, sostenuto and soft functions), but of course it ships for a more expensive price (typically between $549 and $599). Ultimately, is it worth it to spend your money on any of these Williams products? Well, first, you need to know why you’re buying it. My guess is that if you’re interested in a Williams piano, it’s because you’re looking for a “budget piano.” Something that plays well enough but won’t break the bank. If that’s the case, yes, the Williams Allegro 2 is certainly a decent option. But, if I had my druthers, I would suggest you check out something like the Yamaha P-45. With the P-45, you’ll get better sound quality and a superior 88-key hammer action keyboard to boot. 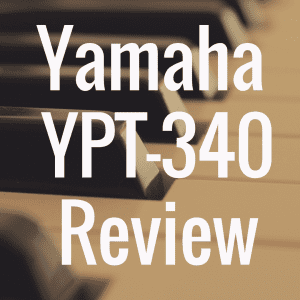 You could also consider investing roughly the same amount of money you’d put into, say, the Overture, and instead purchase the Yamaha P-105, or it’s successor (the Yamaha P-115), which I feel would be a better solution for any student or overall beginner. If you’re aiming to buy your first digital piano and you don’t want to exceed a $299 budget, the Williams Allegro 2 will be definitively a solid choice in this price range, thanks to a new sound engine and a complete bunch of features that will allow children, beginners and students to learn the basics while waiting to buy a more complete and professional solution. Just know that if you’re willing to spend a little bit more money, you can upgrade to something like the P-45 and have a superior instrument. But within the budget-friendly price range that the Allegro 2 sits in, it’s a winner. 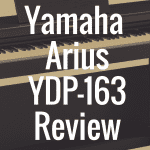 For more great reviews of pianos and keyboards, please bookmark Digital Piano Review Guide. Please also follow us on Facebook and Twitter! 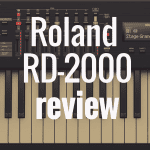 What’s the Best Digital Piano for the Money?